Laminate flooring has become a very popular choice in all areas weather home or commercial. It is and affordable choice and helps to combine the warm effect of wood flooring but and gives the strength and durability. This product has high resistance to shoe heels, scuffs, spillages and dirt. So in terms of practicality is second to none. Laminate is suitable to all areas of the household and is maintenance free so will not need polishing or sanding down so will maintain that new finish. The great thing about laminate flooring is now it can be fitted without glue but with a click system. This can save time , give a clean finish and if ever needed to be taken up this can be done easier and then re installed if necessary. There are many different styles available in terms of colour, feel and plank width to help cater with all budgets. We have different ranges of accessories to suit your laminate also to give that perfect finish. Our large showroom has many samples to help make the right choice for you at great prices. Our special measuring system will help you to save waste and money. In this section also we also like to mention our luxury vinyl flooring as we like to put along side our laminate section as it has similarities. It’s a natural looking wood and stone product but gives you there every day practicality. We have samples that gives a stunning depth of colour , wood effect and stone . This type of flooring gives: moisture resistance, scratch and scuff resistance, slip resistant, easy to clean, sound and heat proof, durability ,environmentally friendly. We have seen our laminate range expand with new ranges always coming in at great prices. The colours on laminate are getting more vast with a new range from baltereo it’s really exciting for use to be able to promote these ranges. We are finding our fitters are fitting more laminates as I think because of the cleaning and how wearing it is our customers are choosing this option. If there are any questions about whether laminate is right for you as one of the team and will always give your honest opinion. We believe our laminate is one of the cheapest around so we are confident of giving the best deal! If you would like more info about this fantastic product please enquire to us. Or ask to book an appointment it come measure. Many new ranges are coming into carpet hub so we would always recommend visiting us to check out latest deals. Our laminate flooring can start off at very suited to your budget. We oonly use the best products as we know it’s important our customer get the best for which is there pride and joy which is there home. With our laminate ranges expanding more than ever we are very confident we will find the right style and colour for you. 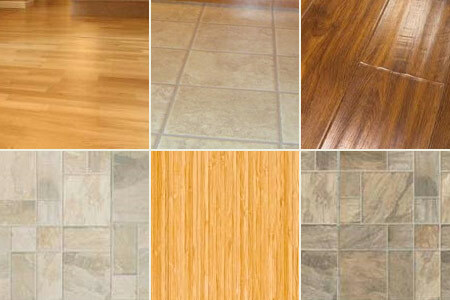 Below is the reasons why laminate flooring is good for your home. – Durable. This flooring can last many years and can with stand a lot of footfall traffic before it starts to show wear. – Easy to clean. If you have kids and pets or just generally will stain your self it can be very easy to get any dirt cleaned off and course easy to vacuum. – Looks Natural. Once laid it will look fantastic to the eye and will give a warm feeling to your home. – Can be used in all areas of home.